January 8th is National Bubble Bath day and we’re basically losing our minds with excitement. We love natural bath and body products and we definitely love long relaxing baths. Combining relaxing essential oils with bathing is basically a no-brainer. In fact, using botanical elements like essential oils for bathing goes all the way back to ancient times. 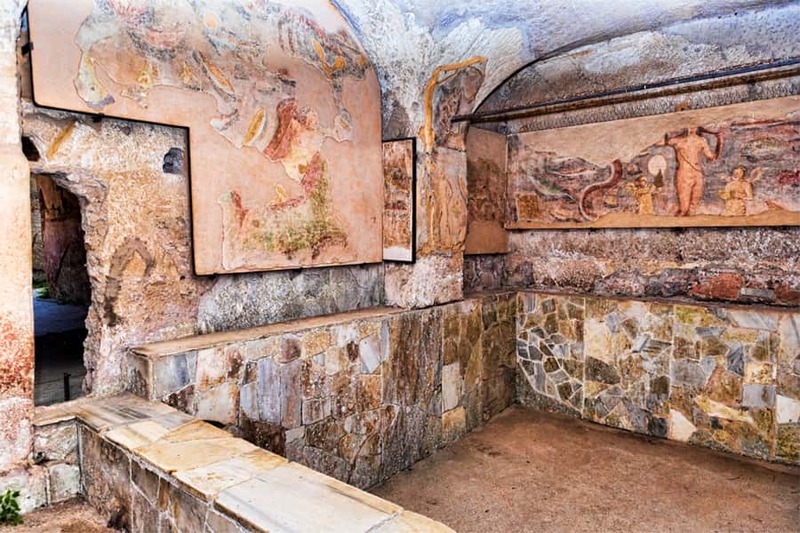 Ancient Romans went wild, building lavish bath houses on natural hot springs. As early as 354 BCE there were almost a thousand baths documented in the city of Rome alone. And the ancient Romans didn’t even have bubble baths! Both ancient Greeks and Romans did, however, use fresh lavender flowers to scent bath water— a tradition that’s been passed through the ages right down to modern day. Of course today, lavender essential oil is used in a variety of bath and body products to create a much more refined and intense aromatherapy experience. In honor of National Bubble Bath day we just had to share our recipe for a fantastically foamy DIY essential oil bubble bath! In our modest attempt to rise to the extra-ness of the ancient Romans we’ve compiled 7 tips to take your bath to the next level. If National Bubble Bath day isn’t the time to get fancy AF with your bath, when is? You can bathe in full light any time— when it’s time for a bubble bath, it’s time to dim the lights and go full out on relaxing vibes. When setting the mood, ambient lighting can make all the difference in the world. Getting the perfect glowing ambience is actually pretty simple too. Any basic bubble bath aficionado knows candlelight is amazing for bath time. Essential oil candles take it one step further, using aromatherapy to add to the spa atmosphere. If you’re not a fan of candles, or you’ve already got other aromatic elements going on, a Himalayan salt lamp is an amazingly easy way to create ambience for your bubble bath. The beautiful pink crystal form and warm glow instantly welcomes you to bubble bath bliss. When you think bubble bath, bath bombs may not be the first thing on your mind...but you’re not thinking extra enough yet! There are two ways to use bath bombs in your bubble bath. 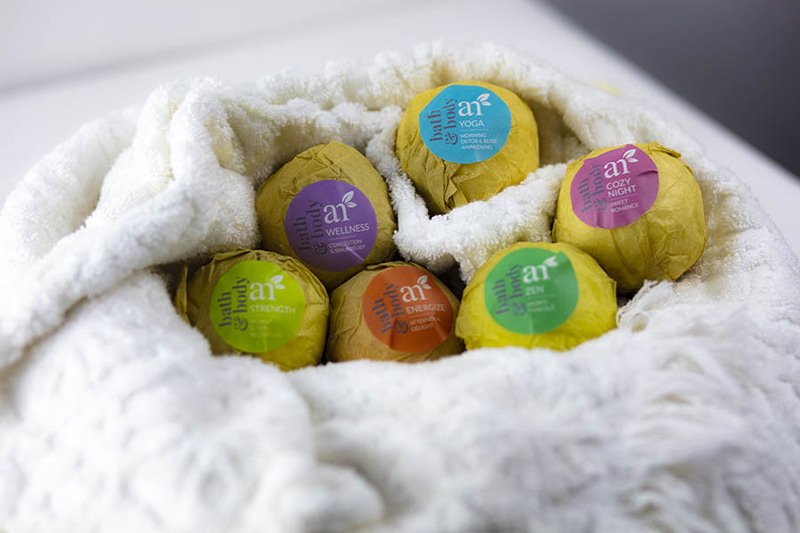 If you’re just in it for the skin care, aromatherapy bath bombs are a great way to add some oomph underneath the bubbles. Aside from an amazing aromatic experience, botanical bath bombs infuse the water in your bubble bath with beneficial essential oils and mineral salts. Part of the fun of getting extra with your bubble bath is having fun! Why not cater to your inner-child and get creative making your own bath bombs? With a basic bath bomb recipe you can do pretty much anything. For instance, make them licorice-scented like this homemade bath bomb recipe or add biodegradable glitter. You can even hide dried herbs and petals or fun trinkets inside. Aside from the super fun elements you can add to your bubble bath with bath bombs, you can also customize your aromatherapy experience. Adding different essential oils to your bath bombs can help you relax, soothe aching muscles, quiet a busy mind, boost your mood or even help you perk up. One of our favorite things to do with essential oils is make our own sugar scrubs. Sugar scrubs can be used to exfoliate all over, and are often cheaper to make yourself than buy. Plus you can control exactly what goes in them— and on your body. Soaking in a bubble bath is the perfect time to exfoliate to get perfectly smooth soft skin. To take your bubble bath up a notch try our delightfully bright and herbaceous DIY sugar scrub with lavender and lemon essential oil. Step 1: Add essential oils and jojoba to mixing bowl. Whisk until well blended. Step 2: Mix in sugar to oil mixture. Step 3: Scoop body scrub into mason jar to store. Diffusing essential oils in the bathroom is great for general odor control, winding down after a long day or getting hyped up while getting ready. Essential oils are also wonderful to diffuse during bubble baths. First of all, Bluetooth capable diffusers will allow you to play music or podcasts while you soak in your bubble bath. 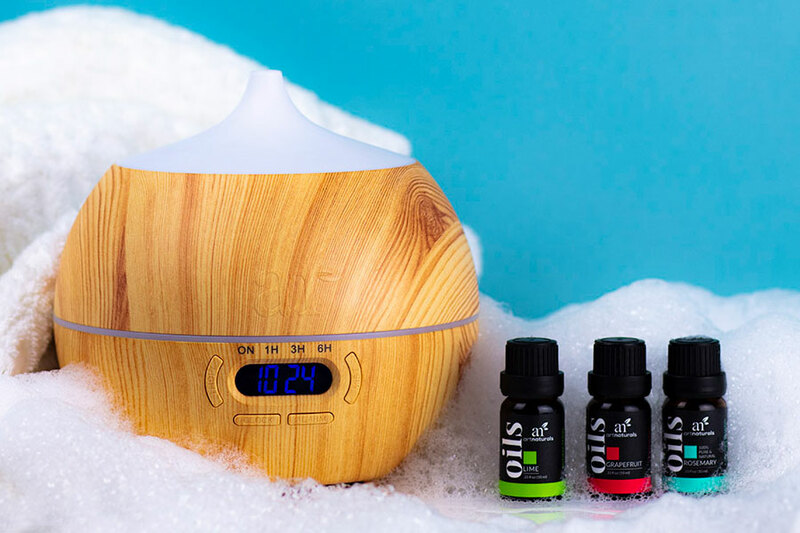 Secondly, if your bubble bath is not quite as scented as you would like, an essential oil diffuser can add some aromatherapy oomph to your bath time. Using an essential oil diffuser in the bathroom is also great If you have sensitive skin. If you can’t use scented bath products, you don’t have to miss out on an amazing aromatherapy bubble bath experience. We can’t leave out one of the easiest and most beneficial essential oil recipes of all time: aromatherapy bath salts. Making your own essential oil bath salts is really simple, but feels luxurious and personal. Combining soothing salt minerals and beneficial essential oils basically boosts your bubble bath with a one-two punch for sore muscles and tired limbs. Try our Signature Zen recipe below or use it as a guide to come up with your own essential oil blends to use in the recipe. 2. Add essential oil salt mix to bath water as hot as is comfortable. For a standard-size bathtub use entire mix. And now for the star of the show, drumroll please! Because you can’t have National Bubble Bath Day without a bubble bath! This all-natural bubble bath recipe is gentle on sensitive skin, smells divine and features our ultra-relaxing Signature Zen essential oil blend. The foaming bubbles are silky smooth and feel extra luxurious on the skin too. Step 2: Pour into mason jar for storing. To use: Give jar a gentle swirl to mix. Start with adding 2 Tbsp to warm running water. You can add more as you like! What if you don’t have time for a bubble bath on National Bubble Bath Day? Well, we love you anyways, and we don’t want you to miss out on the aromatherapy fun. So we’re throwing in this bonus recipe for essential oil shower melts. Shower melts are incredibly easy to make and all you have to do is pop one in a hot shower to start enjoying essential oil aromatherapy goodness. Enjoy, and Happy National Bubble Bath Day! 2. Add baking soda and water to bowl, mix into a paste. 3. Fill each cupcake mold with 1 Tbsp of paste. 4. Use a spoon to press the paste into the bottom of the mold until you have a smooth surface. 5. Bake for 10-15 minutes in preheated oven. 6. Let cool completely, remove from liners. Add 3 drops of each essential oil (6 drops total) to individual shower melts. To use: Place one essential oil shower melt on shower floor. Aim for somewhere not directly under the shower fall, but where the melt will still get wet. As the warm water diffuses the essential oils, a delightfully bright and cheerful steam should fill the shower.